In accordance with customers' spotted wishes and needs, we deliver a recognized and stand-out gathering of the Grid Spring Resilient Coupling. 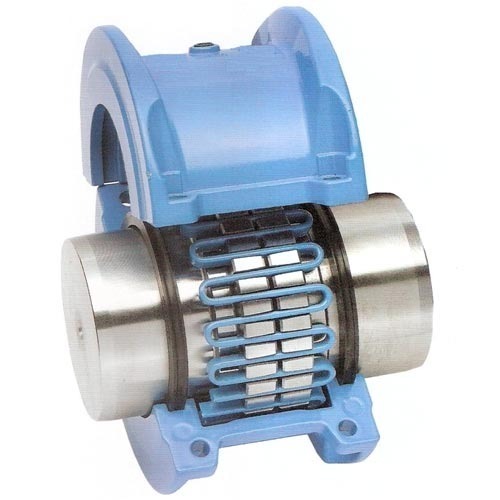 Found in the year 1977, we, Siddhartha Distributors, are one of the noted distributor, wholesalers, traders, suppliers & retailers of a massive array of Industrial Couplings. Our product series encompasses Flex Coupling, Jaw Couplings, Grid Couplings and many more that are procured from our trustworthy and dependable vendors of long-term. From the very beginning, our company has been concerned with the quality that is delivered at our clients’ destination. Thus, to proffer our best possible, we strive hard to accomplish the diversified requirements of our prestigious patrons. Our quality grade range is widely famous in the market for its tough construction, durability, supreme corrosion resistance, lightweight and easy installation. Our magnificent warehouse plays a vital role in success of our organization. Completely equipped with advance technology machines and tools, our spacious workspace supports us in proper storage and effort-less loading & unloading of the proposed compilation. In addition, we have recruited a team of skilled, educated and experienced professionals, who are capable of understanding & catering to the various needs of our patrons. After spending more than three decades in the business, we have gained an unmatched reputation among our esteemed purchasers.